The Vietnamese government raised 4.18 trillion dong ($184 million) through the sale of a 20 percent stake in state-owned Petrovietnam Oil Corp (PVOIL) in an initial public offering (IPO), the company said on Thursday. Although global cashew demand is predicted to continue rising, the Vietnam Cashew Association (Vinacas) and cashew processors and exporters are worrying about a high price trap which may affect their activities in 2018. Foreign capital flow in the footwear industry is expected to rebound this year after a slowdown in 2017, with the anticipated arrival of a major US player. The State Bank of Viet Nam (SBV) is drafting the National Financial Inclusion Strategies (NFIS) to increase the ratio of people and firms with access to formal financial services. For the first time in 10 years of the ranking called the VNR500, a list of the 500 largest Vietnamese companies, private businesses have shown stronger growth in comparison with SOEs (state owned enterprises) and FIEs (foreign invested enterprises). Fuelled by rapid growth and increased FDI, 2017 emerged as one of the strongest years for Vietnam. The Bank for Agriculture and Rural Development of Việt Nam (Agribank) and the Republic of Korea (RoK)’s NongHyup Bank (NHB) on Tuesday officially launched the service of transferring money without using bank account. The Vietnamese Government always encourages and creates favourable conditions for Vietnamese and Russian oil and gas companies to strengthen their cooperation, said Deputy Prime Minister Trinh Dinh Dung. An undisclosed investment fund from Singapore has committed $500,000 in capital to ten startups of Topica Founder Institute while FE CREDIT, a consumer finance company, has signed a $50-million loan agreement with Lion Asia I (RB) Limited. 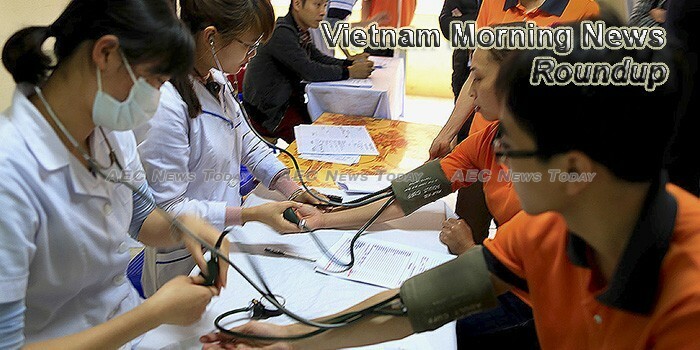 Growth prospects for Viet Nam this year are bolstered by strong domestic demand and prospects of a global economic revival. Minister and chairman of the Government Office Mai Tien Dung said that amendments to the Decree No 38 guiding the implementation of the Law on Food Safety will be submitted to the Government early next month. The Government has to pay debt totaling at least US$28.8 million a year to the Chinese side for the Cat Linh-Ha Dong urban railway in Hanoi City, news website VnEconomy.vn reports. Vietnamese authorities have started developing specific guidelines for selecting investors to develop renewable energy projects under their management, weeding out weak investors and out-of-date technology. The HCM City customs department aims to cut the time it takes for clearing goods by half by the end of this year, Dinh Ngoc Thang, its deputy head, told the media on the sidelines of a meeting with American businesses on Wednesday. The Mekong Delta City of Can Tho’s Trade and Investment Promotion Centre plans to promote investment in the Viet Nam – Japan Industrial Park this year, according to Nguyen Khanh Tung, director of the Can Tho’s Trade and Investment Promotion Centre. Vietnam has emerged as one of the leading destinations in Asia for international cruise ships after the arrival of more than 400 ships in 2017.